It was raining and in the 60s this morning. I think the garden was very happy! I don't think the garden will be happy when it is 85 degrees. 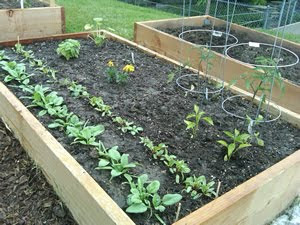 The spinach is exploding (first row from the left).